What worked for the patients in 1959 (when the Stanford Hospital was first built), differs for the patients now and in the future. 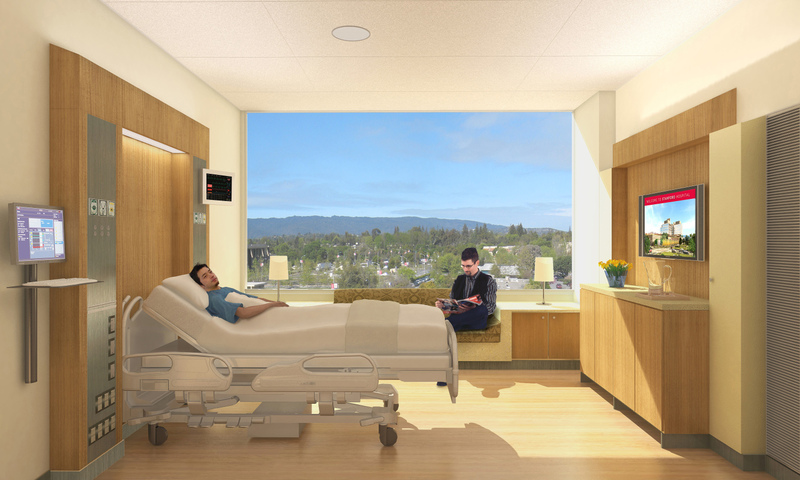 The new hospital, located in the hotbed of Silicon Valley, is scheduled to be completed in 2017 and open to patients in 2018. 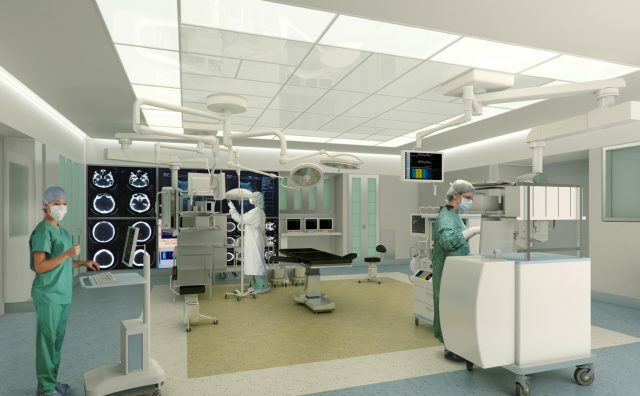 The framework and development of the new hospital will be adaptable to future expansion of the Medical Center while technologically adapting with evolving interdisciplinary operations in healthcare. 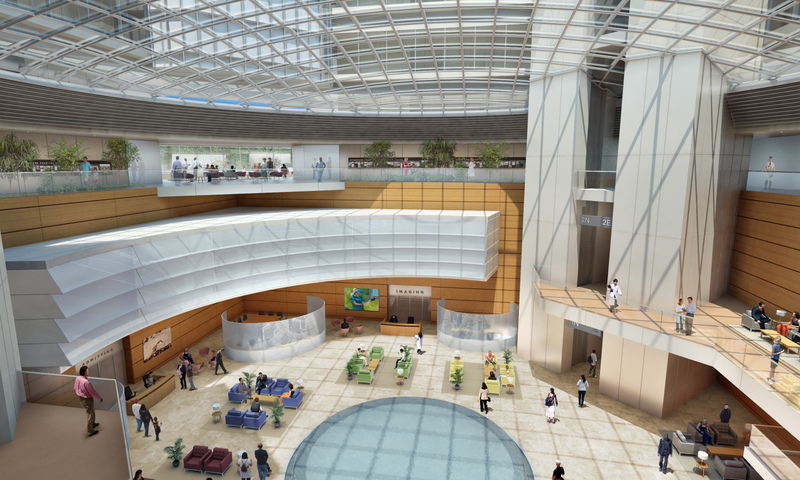 The hospital is designed as a horizontally organized, modular medical center, and the systems within are equally impressive. From a mechanical perspective, the air handlers feature a unique dual air tunnel design, thus, eliminating downtime while providing redundancy. 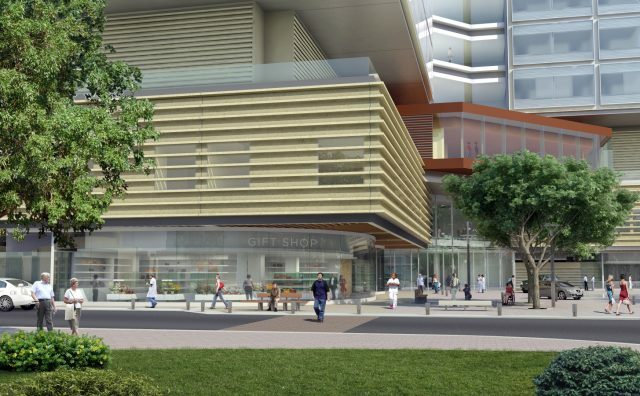 A PLC (Programmable Logic Controller)-based controlled fan wall system was designed to manage optimum energy efficiency aligned with the project’s LEED Silver goals. Mazzetti is enlisting the latest in filter technologies using UVGI with photocatalytic oxidation filters. The unique, isolated base structure of the air handlers provided a natural thermal labyrinth in the crawl space to pre-cool air that is supplied to basement mechanical, electrical, and main technology rooms. 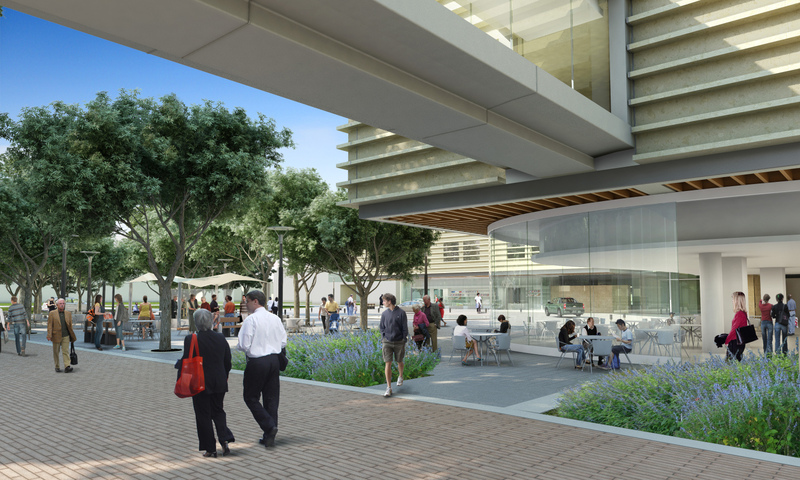 The smoke evacuation system for the atria also doubles as a pathway for natural passive ventilation, leveraging the open spaces. 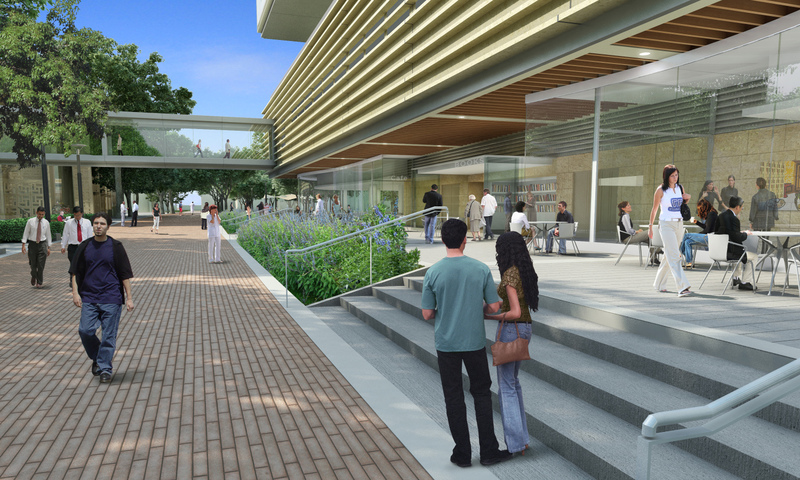 Stanford, known for innovative user-focused facilities, is pursuing LEED accreditation. 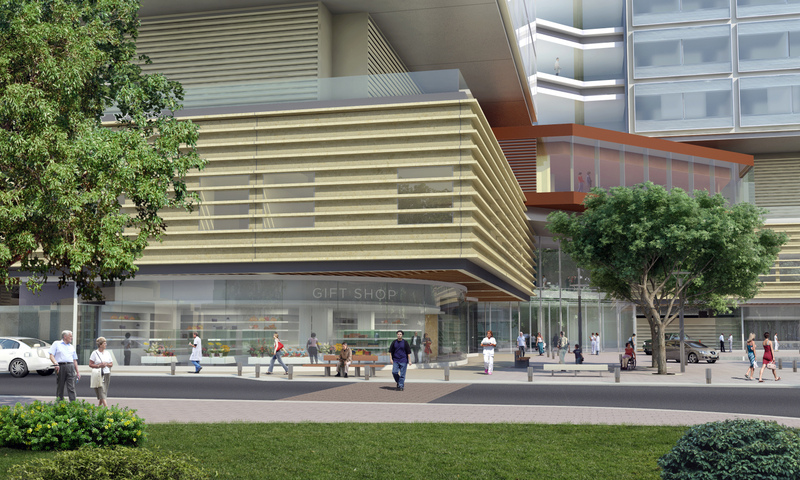 Mazzetti, specializing in sustainable design, is employing energy and water efficiency, day-lighting, solar technologies, and greenhouse gas emissions reduction systems to achieve a LEED Silver (or higher) goal. 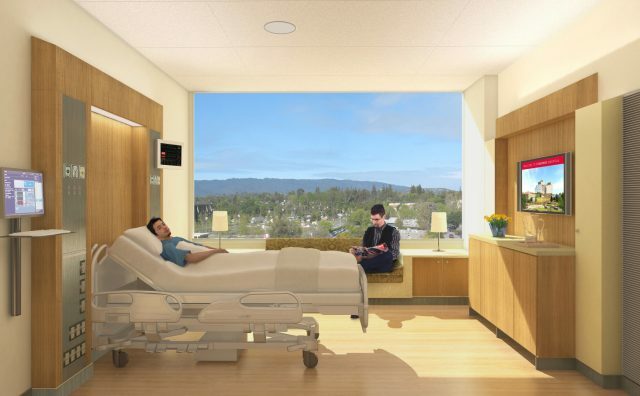 These include a specialized curtainwall system, specifically designed for the hospital, incorporating high performance glazing with integral solar-controlled shading devices and a pressure controlled internal cavity. The plumbing system designs are capable of 96 hours of back-up fuel and potable water storage, fire water storage, as well as waste water storage with automated switchover. The lighting system designed incorporates approximately 90% LED fixtures with fully programmable lighting controls. A condensation collection system stores clean captured water for intelligent irrigation on the green roof. 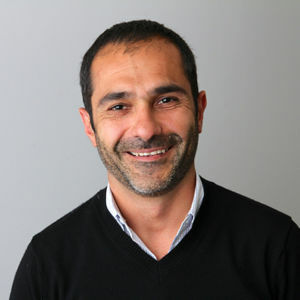 The plumbing designs will take advantage of the sunny climate to power low-flow fixtures, using ambient lighting to charge sensor-controlled fixtures and flush valves. The domestic hot water system will collect waste heat indirectly from the central sterile equipment to pre-heat domestic hot water. The new hospital will also implement sustainable practices, using specific medical equipment, including the anesthesiology administrator. A separate waste anesthetic recovery vacuum pump system will be installed with an anesthetic gas recovery system to sequester and ultimately recycle anesthesia and reducing energy consumption. 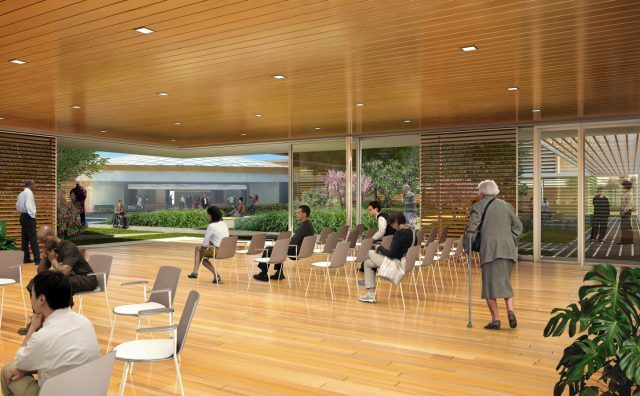 The new hospital will thoughtfully reinterpret the original design from 1959, welcoming patients and visitors with a light-infused atrium of daylight and landscape to the lower levels. 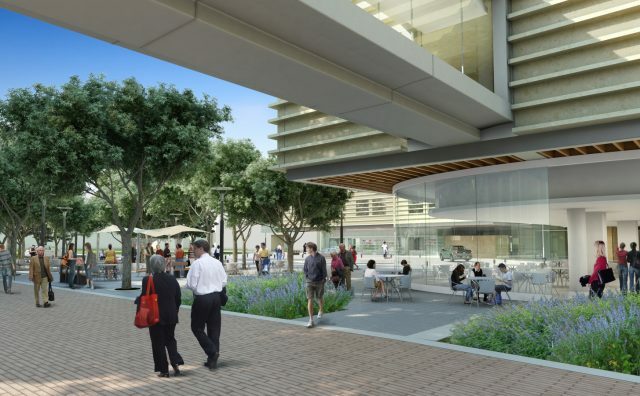 Introducing lush green spaces like the open air courtyards, rooftop green space and glass-wall views to the foothills in the distance, creating a calming atmosphere. 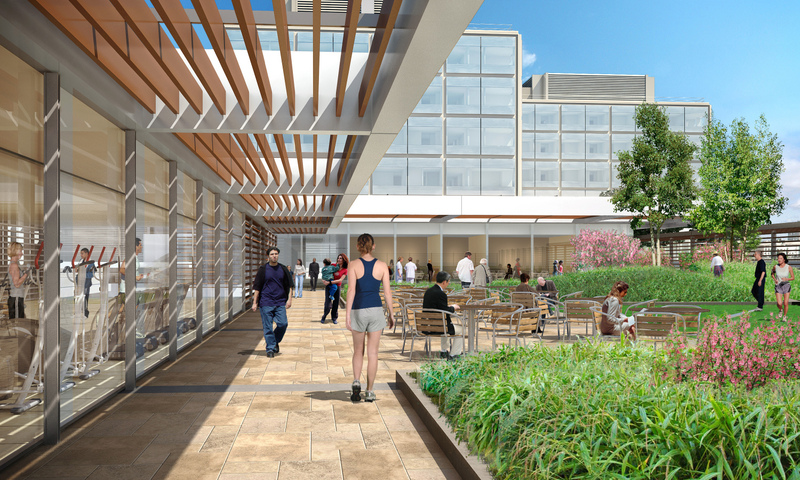 Accessible roof gardens on the third and fourth floors will be accessible by patients to enjoy the fresh air. 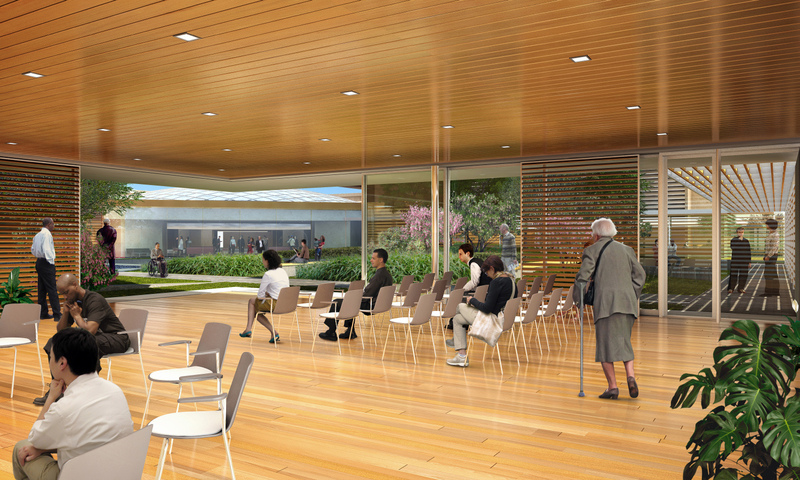 The amenity-rich Garden Level on the third floor roof includes a a cafeteria, restaurant, conference center, staff lockers, and a lounge area, all of which overlook a green area. 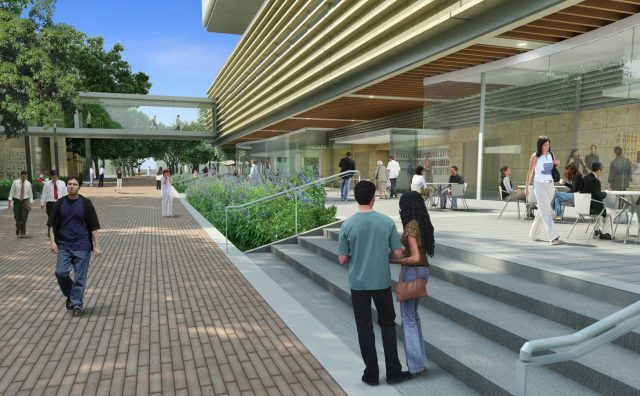 While the proposed ventilation system was designed to lower energy costs for Stanford, the new system also reduces the risk of infection from airborne contaminants. 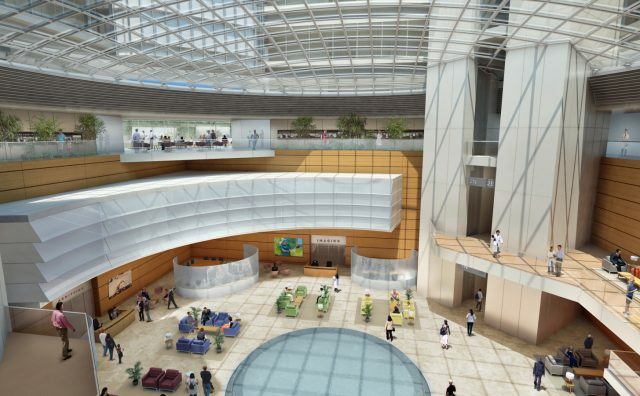 Increasing the hospital by 824,000 square feet will allow for more single-patient rooms, realizing reduced infection rates, increased privacy for patients, and more space for patient families and visitors. 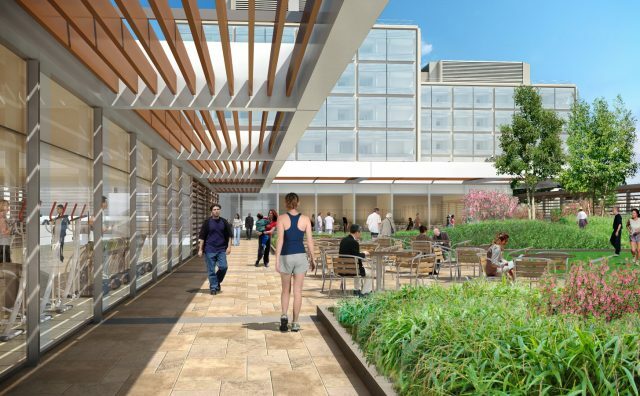 Stanford is technologically setting new standards in healthcare–state-of-the-art imaging equipment (48,000sf devoted entirely to imaging), flexible surgical and interventional OR rooms, and a new Level 1 Emergency Department (three times the size of the former department).